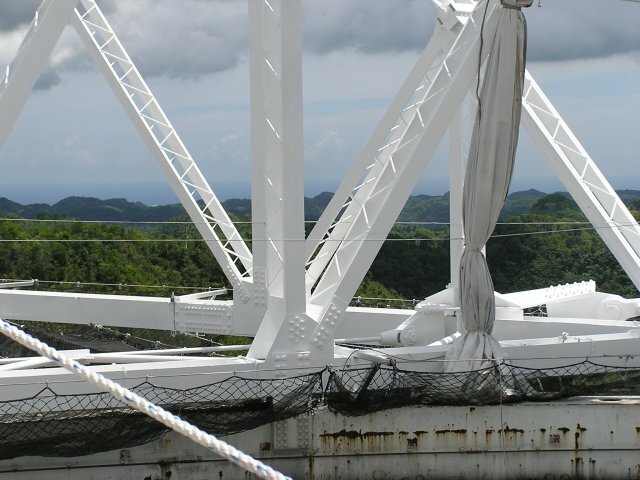 On April 25, 2007, the Arecibo telescope stopped observations for a planned major upgrade to its receiver platform, which rests 150 metres (500 feet) above the lowest point of the telescope's 300-metre wide primary reflecting surface. The primary reason for this upgrade is to replace the many layers of paint on the steel structure with a more durable and protective paint, to guard against rust from the high humidity in Puerto Rico. The removal of the old paint requires a certain degree of care, however, since it contains lead. These preventative measures include wrapping the entire platform in large tarps (see pictures below). Once the old paint is blasted away, the new paint should be applied as soon as possible, to maximize its protection against the elements. This requires the painters to work methodically, in small patches along the platform. The initial estimate was that the entire job would take about 12 weeks. We heard recently that the target date for Arecibo to resume observations is August 1, which would amount to a hiatus of just under 14 weeks. Once observations start up again, we will immediately start collecting more data with ALFA, the telescope's multibeam receiver. The interior of the containment before blasting. The rusty steel is obvious. 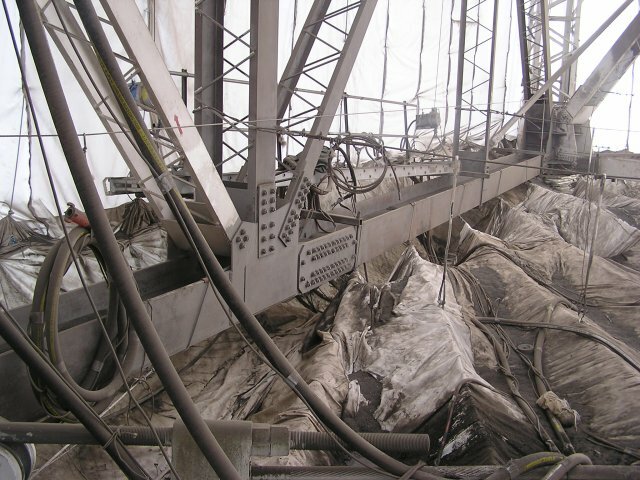 The steel after blasting as well as the interior of containment during the blast process. 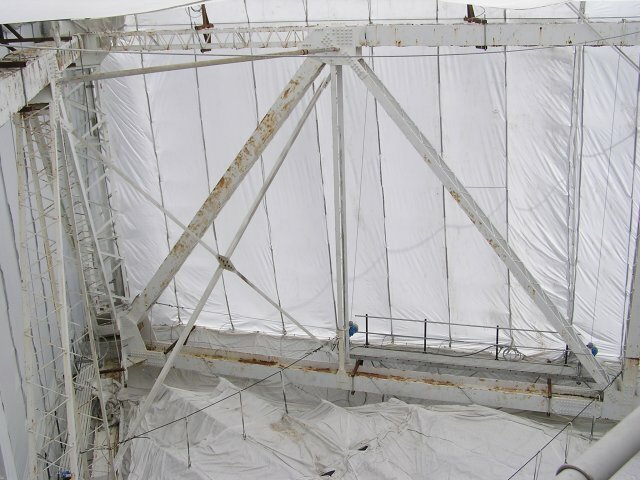 The painted steel after the containment has been removed.